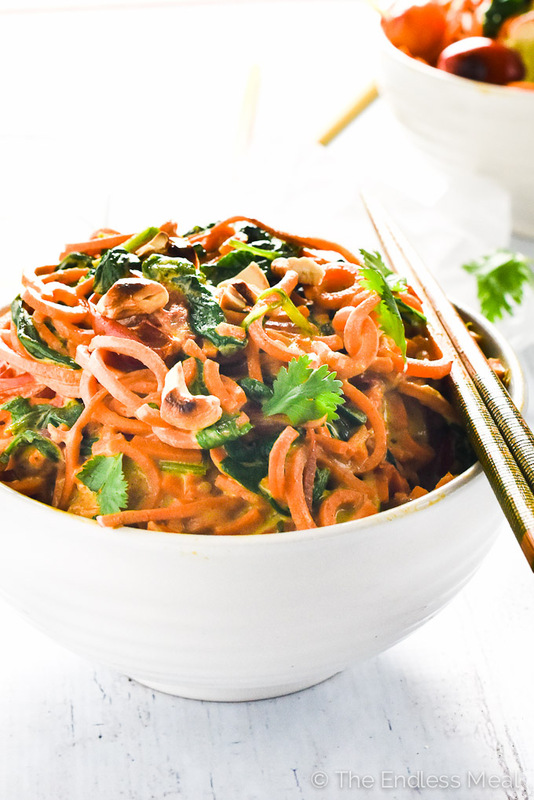 I'd like to introduce you to my latest obsession: sweet potato noodles. Have you had them before? Do you think they're awesome? Do you think they seem wtf weird? I'm with you on the seeming weird part; sweet potatoes parading themselves around as a bunch of long twirly noodles is weird. The truth is they're kickass awesome and make the ideal base for healthy and filling Meatless Monday dinners. If you haven't had them before, I think you'll be surprised at how noodle-y and un-sweet potato-y they are. When I served them to my handsome man, he had a look of utter surprise for the first 5 minutes of dinner. Apparently he was on team WFT Sweet Potatoes Seem Weird. Two servings, and plenty of compliments later, I think it's fairly safe to say he's a convert. We need to talk about his sauce for a minute. See that pretty, light green cream sauce that my handsome man's daughter (Hi Kaitlin!) helped pour over the noodles? That sauce there is 100% dairy-free, vegan, plant-based deliciousness. And no, you don't have to be vegan to love this sauce. It's made from a base of cashews which gives it the consistency of a creamy, dairy-based cream sauce. I've added some Sriracha and cilantro and a couple other ingredients to give it a slightly Asian taste to it. It's also the easiest thing in the world to make; all you have to do is throw the few ingredients into the blender, give it a whirl, and you've made yourself a super healthy, packed full of filling protein, vegan cashew cream sauce. Nicely done! I have another new obsession: my World Cuisine 4-Blade 5-Cut Spiralizer Pro. My prediction that it would change my life has come true. 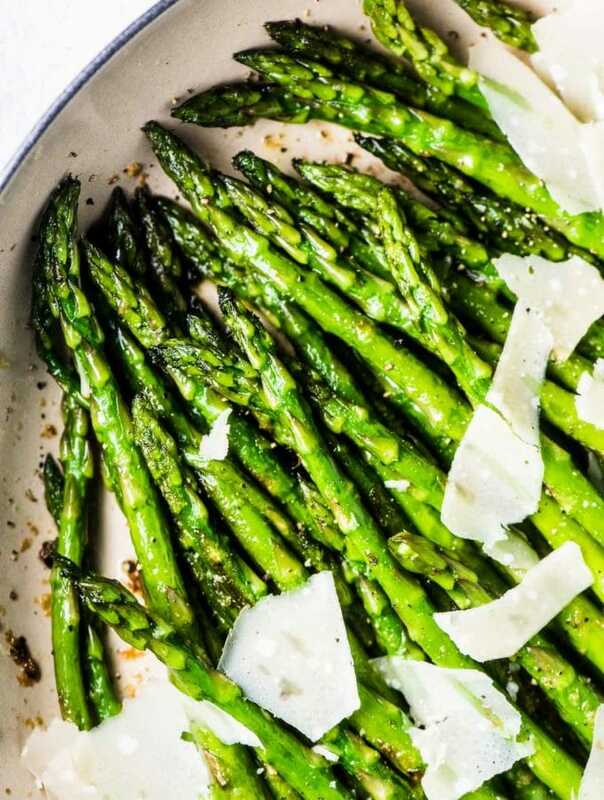 All I dream about now, all day long, is spiralizing vegetables. It's a tad embarrassing. Before this incredible machine showed up at my doorstep (thank you, Amazon!) 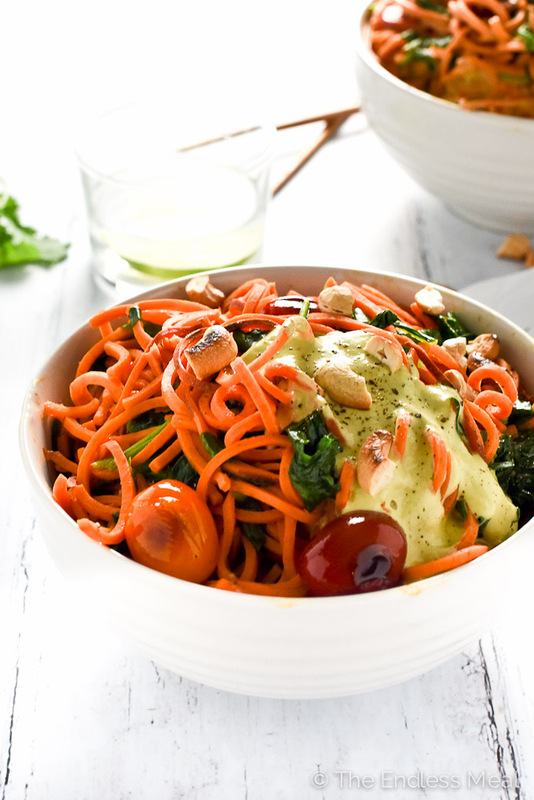 I used a julienne peeler to create healthy veggie noodles. It worked great for zucchini, pretty good for carrots, but not at all for sweet potatoes. I was coveting the long spiral-y noodles I saw around the internet, not the short little stumps I got from my julienne peeler. Thank you for changing my life, World Cuisine! If you make these Sweet Potato Noodles make sure to snap a pic and tag @thendlessmeal on Instagram so I can like and comment on your photos. I love seeing TEM recipes you guys create! 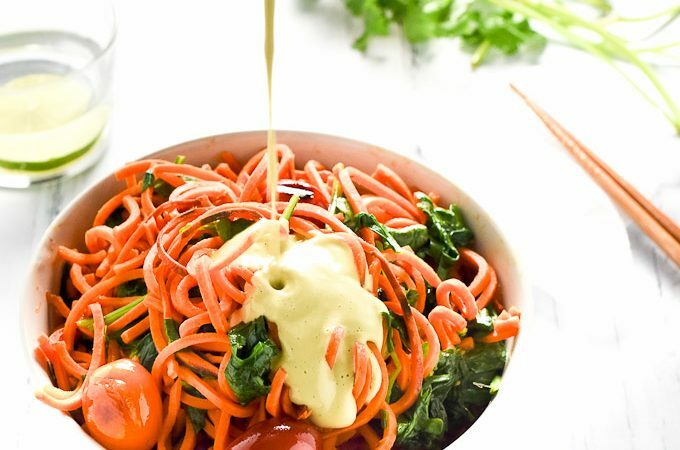 These sweet potato noodles are covered in a cashew-based cream sauce and make a quick, easy and delicious vegan meal. You will LOVE it! Place all the cashew cream sauce ingredients in a blender, along with 1 1/2 cups of water, and blend on high until it is very smooth. Heat the oil in a large pan over medium-high heat. Add the cherry tomatoes and cook for about 3 minutes, or until they start to blister. Add the sweet potato noodles a 1/2 cup of water, and cover the pan. Continue to cook, stirring a couple of times, for 5 minutes. Add the spinach to the pan, cover, and keep the pan on the heat for 1 minute more so the spinach wilts. Stir the cream sauce through the noodles and top with some toasted cashews and cilantro. I don’t really like yams and the cashew sauce on its own I wasn’t sure about at first. BUT!!! When I put everything together it was amazing! I made it for dinner and then the next two days for lunch. These flavours work amazing together. I was so impressed! Another win from your awesome blog! I think the best compliments are when someone says, “I don’t normally like ….. but I like this!” Awesome!!! It reheats ok, although the noodles will get really soft. It will still taste good, though! These look amazing! I haven’t tried using my spiralizer on sweet potatoes yet, but you have me convinced! This is my kinda meal. Hope you like it as much as I do!! 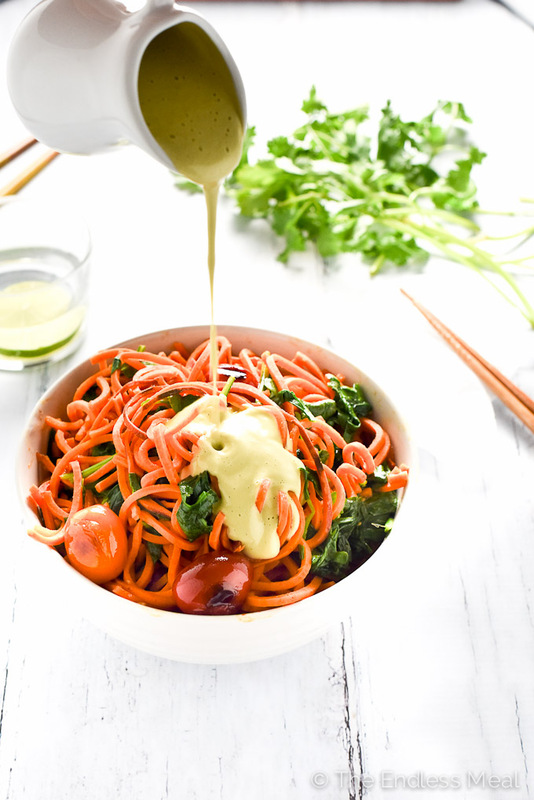 Kristen, I absolutely adore spiralized anything and especially with a creamy dreamy sauce — this looks amazing! I am just dying over these pictures! You can’t get much more gorgeous than these. 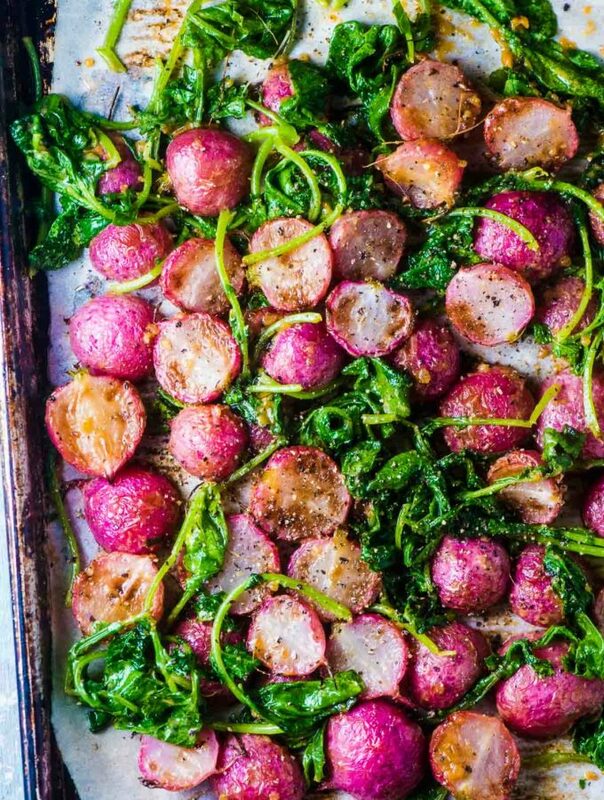 As if I didn’t already love sweet potatoes enough, these pictures would sure make me a fan. That sauce sounds divine! And the toasted cashews???! BAM! Love! I just got a spiraliser (I know – late to the party), and I can’t wait to use it. That cashew ream sounds amazing and even better than it is spicy too. I was late to the party too … better late than never! I love this twist on the ‘zoodles’! 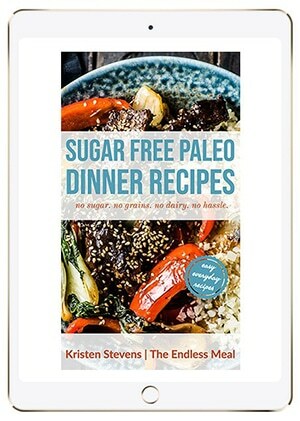 In fact my husband will be all over this – he’s always asking me to make more sweet potatoes dishes. And that cilantro cashew cream sauce sounds wonderful! Pinning to make this! I think the noodles sound amazing! My husband mentioned the other day that if I don’t use the spiralizer this Fall then we need to get rid of it. This just went on the “to-make” list! I need this in my life. Must get a new spiralizer because mine just isn’t going to cut into a sweet potato. And OMG this dish. It’s so genius. Cashews really are the best for creamy sauces, vegan or not. I so agree with you about cashews and their crazy ability to make the best cream sauces. I use them all the time instead of dairy cream because I like them so much better. 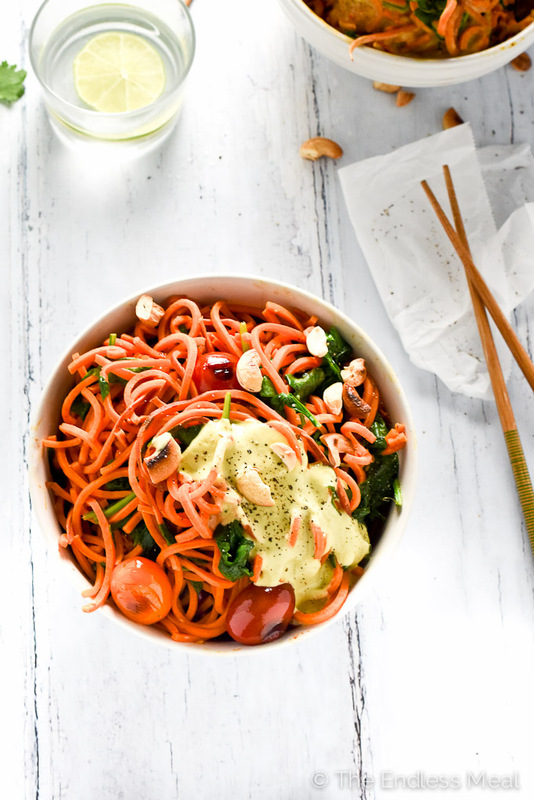 Hi, delicious sweet potato noodles! Unfortunately, I’ve never heard of your existence, and I feel I’m wasting my life so I’ve got to try you, sooner or later (better sooner) 🙂 Indeed, such a fantastic idea, Kristen! I’m intrigued. Sweet potato noodles do look a bit weird but also tasty. Looks like I need to check out a Spiralizer. Omg! Haha! You have to check out my recipe tomorrow 😉 The sweet potato noodles are back again! That’s awesome! Great minds think alike! !